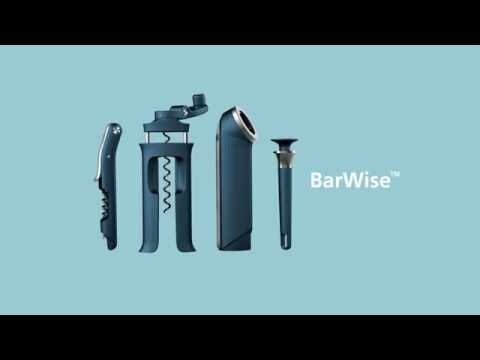 The BarWise collection by Joseph Joseph is a modern and innovative series of bar accessories that make the opening of bottles easy and simple. The intuitive design of each product makes the opening of bottles with crown caps or corks easier than with traditional openers. The series includes various corkscrews and bottle openers that optimally complement each other in their design and in their function.